The total number of plants you can grow is determined by a number of factors: available grow space, available power sources, and State and Local regulations. 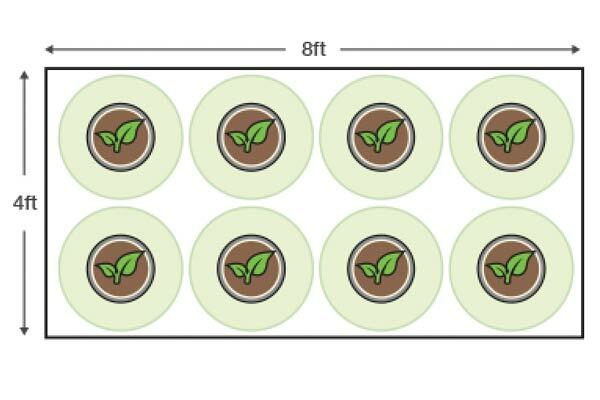 The total number of how many plants you can grow is determined by a number of factors. Available grow space, power sources, and state and local regulations all contribute. If you are growing in a tent, it should detail how many plants can fit inside (in both traditional pots and hydro systems). 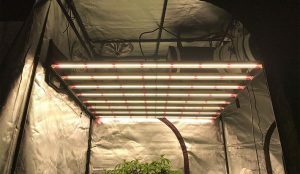 The physical dimensions of your available grow space or grow tent will be a limiting factor of your total canopy size (the length and width of all of the fully grown plants in your grow space). It will also limit you in terms of number of plants. In fact, many growers choose to grow a larger number of smaller sized plants. This technique is often called "Sea of Green", and tries to maximize yield by quickly growing smaller plants to full maturity. This can also be useful for grow spaces that are height-limited, as the smaller plants will not grow as tall. 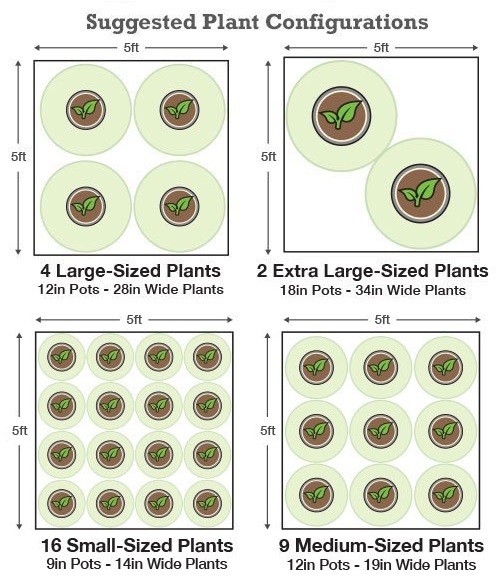 So, if you have a fixed amount of room, you can still grow as many plants as your containers or hydroponic system will allow, they will just need be grown smaller. Indoor gardens can require a lot of energy. It’s important to remember that most homes are built with 100 amp service, which is typically split between 15, 20, and 25 amp breakers. 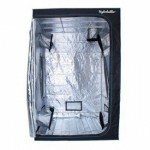 Depending on where your grow room is located, you may be limited to the total number of amps available. 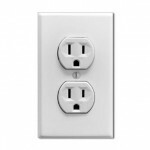 This will determine the number and type of lights you can run. It also determines what other equipment you can use (hydroponic systems, etc. ), and may limit the total number of plants you can grow into full maturity with the powered equipment. It’s a good idea to plan your power use strategy first. 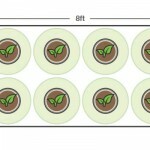 This way, determining the total number of plant you plan to grow in a given space is simple. If needed, a licensed electrician can help you to access more power where you plan to grow. A good rule of thumb is 4 full-sized plants per 600-1000 Watts of light. State and local regulations vary by area and may set a specific number of how many plants you can grow. Be sure to check with your local regulations so that you can be in full compliance with the law. Questions? Call us at 888-815-9763 or email support@hydrobuilder.com.